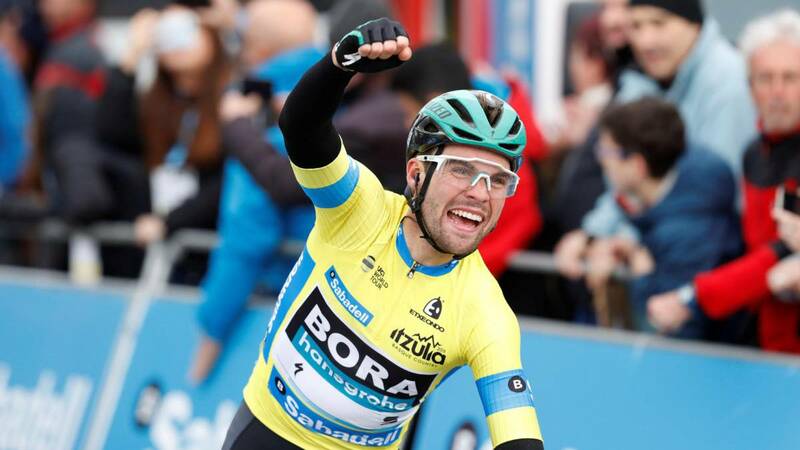 The leader of the Bora won the climb to Estibaliz with great superiority. Enric Mas, Alaphilippe and Geraint Thomas were involved in a fall near the end. Stage 3 of the Tour of the Basque Country, with a route very similar to the day yesterday, in which there were surprises. A fall to six kilometers from the end in which were involved great favorites like Enric Mas, Alaphilippe or Geraint Thomas, left freeway to Maximilian Schachmann. The leader of the race achieved his second victory in this Tour of the Basque Country to prevail with great authority in the final Estibaliz.